Former Bruin Marco Sturm coached Germany to its first appearance in the gold medal game. GANGNEUNG, South Korea — The US men’s hockey team came to South Korea with a “Miracle” storyline on its mind, but it was Germany that almost left with it. The upstart Germans, the darling of this men’s bracket, were up a goal on the vaunted Russians, down to the final two minutes of regulation, and on the power play. In the end, there was no miracle, not after back-to-back Russian goals in regulation and overtime of a disappointing 4-3 setback with the gold medal at stake, but what the Germans did do here was nonetheless regarded as a sort of miracle back home. They got people talking about hockey. And for that, they credited head coach Marco Sturm, the 39-year-old coaching wunderkind who took his 1,000-plus career NHL games, his 15-year NHL career (including five with the Bruins) and his 509 career NHL points and turned his country’s national program into an upstart powerhouse. With medal-round wins over Sweden and Canada, a country that hadn’t even qualified for hockey four years ago in Sochi suddenly found itself in the gold medal game. All the work Sturm had done building a new culture, recruiting some veteran stars and instilling confidence had paid off in ways he couldn’t even have dreamed. 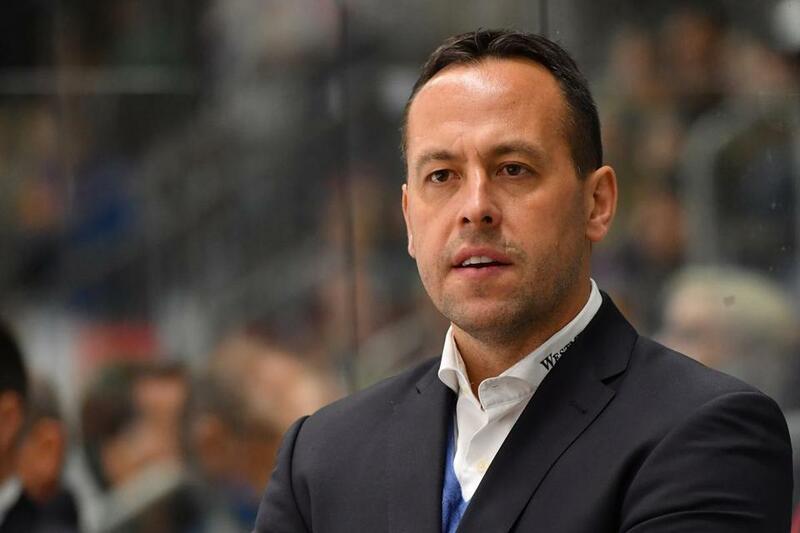 With his eyes on a return to the NHL someday as a coach, Sturm put out quite the visual resume across 17 days in South Korea. One that almost made Olympic hockey history, coming so close to the shocking upset. Late in the third period, the tension in the very pro-Russia building had grown thick with worry, that the one gold medal this chagrined nation believed from the start of these Olympic Games would be theirs was about to be lost. Meanwhile, small pockets of German fans grew louder and more hopeful with every passing second, their impossible dream percolating not only in the stands, but in the minds of the players as well. But hockey is a cruel clock keeper, and can make seconds feel like minutes and minutes feel like hours. The Germans never got to zero, surrendering a game-tying goal with 55.5 seconds remaining in regulation and the power-play winner with 10:19 to go in overtime, leaving their stunning upset dream to be wrapped in silver rather than gold, a glorious consolation prize in its own way, but still a disappointment nonetheless. Yet the excitement they created at home won’t soon be forgotten. “It’s huge. It’s amazing for us being here. No one at home is talking about soccer right now, they’re talking about hockey. That’s amazing,” said forward Marcel Noebels. That’s quite an accomplishment for Sturm, one of the most decorated German NHL players of all time. Across five seasons in Boston (2005-10), he played at least 70 games three times and scored double-digit goals in three different seasons, netting a memorable overtime game-winner at a Winter Classic game at Fenway Park. Maybe it will someday ease the sting of lost opportunity, of being oh-so-close to a miracle only to leave it out on the ice. “Obviously it was really close,” Sturm said. “Right now we’re just a little frustrated, more frustrated than happy because we couldn’t get it done. But it was amazing. We had a great run. We could have won gold today but we didn’t. They did an unbelievable job and should be very proud. The outcome here was amazing.